Tum Kepri keeps his sound contemporary with touches of Soul. Tum Kepri has applied his acoustic, electric, skills to Jazz. Born in San Francisco, California to parents of Southern Descent from Arkansas and spent portion of life in Arkansas. Kepri was exposed to various music from the West and the South. His album Sunmoon Dance is on sale at CDbaby. We just welcomed in a New Year…Now it’s time to welcome some New Music for 2013. Coming On Valentine’s Day February 14, 2013, Groovitis! Saxophonist Rod Tate’s new Smooth/Contemporary Jazz CD, featuring 13 new head bobbin’, finger snappin’, toe tappin’ songs and did I say, “Funky”(LOL). There is also a dose of medium and slow grooves. Get Ready To Be Infected By The Groove Diagnosed as, Groovitis ! IF you enjoy Rod Tate’s music this one is a “Must Have” ! As a performer he has opened for contemporary jazz group Spyra Gyra, Pieces of A Dream, Chuck Loeb, Bob Baldwin, Marion Meadows, Phil Perry, Ramsey Lewis, Legendary Poet Sonia Sanchez and Lonnie Liston Smith. He has opened for Gospel artist Richard Smallwood and Gospel jazz keyboardist Ben Tankard, comedian /actor Tommy Davidson, Tavis Smiley, as well as, Hall of famer, Ozzie Smith. Groovitis is on sale at CDBaby. “When are you going to let me make a record with you?” For years, Grammy-nominated bassist Brian Bromberg posed this question to saxophonist Mike MacArthur. Finally the saxman acquiesced. He grabbed his tenor horn, hopped a jet and camped out in Bromberg’s Los Angeles-area home studio until the record was complete. The two musicians invited a handful of their high-profile friends over to play on the album, “Feels Like Home,” which will be released June 4th by Paradise Point Music. Bromberg produced and plays acoustic bass on the 10-song multihued mix of contemporary and straight-ahead jazz and blues that features contributions from trumpeter Rick Braun, keyboardist Jeff Lorber and guitarist Jeff Golub. The tabernacle temblor “Sanctified,” the disc’s gospel-inspired first single, is already gracing radio playlists and ascending the charts. 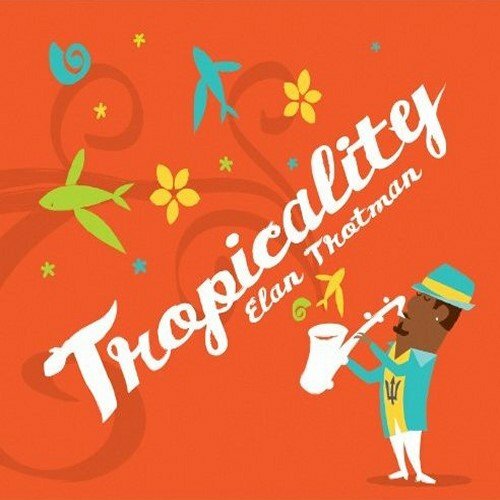 Hailing from Barbados now living in Boston saxophonist Elan Trotman is an integral part of the smooth jazz scene today. His work consisting of Memories – The Debut (2001), influenced by Caribbean music, Let’s Have A Good Old Time (2005), a gospel jazz album, A Reggae Christmas (2007), popular Christmas carols in a jammin’ reggae style, This Time Around (2009) and Love and Sax (2011 ) is multifaceted. His third album Tropicality (2013) is like the both predecessors a confession to smooth jazz. With a balanced mix of covers and self written compositions Elan shows his qualification as team worker. He is joined by bassist/producer Nicholas Brancker, guitarists Peter White, U-Nam, Nick Colionne, Fabiano Da Silva, Serghio Jansen, percussionists Luis Conte, Lenny Castro, keyboardist/producer Jeff Lorber, guitarist/producer Paul Brown, drummers Terri Lyne Carrington, Ricky Lawson and Tony Moore, trumpeter Lin Rountree, and bassist Alex Al . Trotman has chosen as starting tune Stevie Wonder’s monster hit Master Blaster. The energetic original is recalculated in Elan’s version to the melody sequence enriched with a horn arrangement. The General has been in the music industry for about 43 years making all kind of music. Working with some of the industries top artists kind of helps him. Smooth Sailin is his newest project released at CDBaby. Reggie Stokes is a masterful guitarist, specializing in jazz stylings. He is also a composer and producer, thriving on collaboration amongst the Birmingham (and beyond) music scene. Reggie Stokes’s latest album is a graceful collection of jazz and RnB originals and covers. A subtle and movingly eclectic journey — good for headphones and intimate listening, to a low-key gathering. 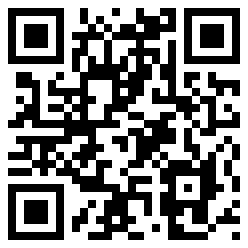 The New Jazz Cafe is open at CDBaby. 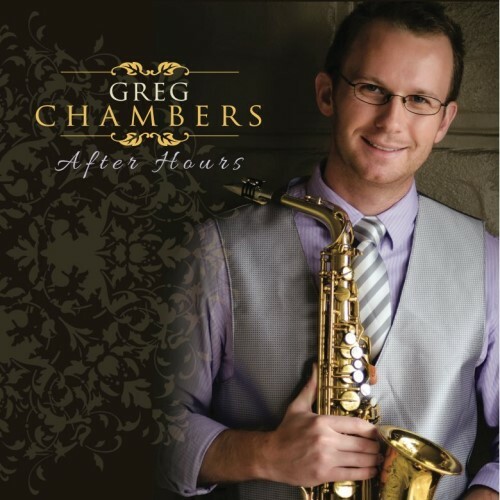 Saxophonist Greg Chambers develops his creative work in the San Francisco Bay area. With a strong will to reach the peak he released his debut album City Lights in 2006, his self-titled album followed in 2011. Both albums are available at CDBaby. This year he offers an EP with seven songs, partly written by Greg himself. Beside his band Shahien Shahkar (bass), Paul Neal (guitar), Glenn Osur (keyboards) and Kevin Lewis (drums). He invited to this project Paul Brown on guitar, Jonathan Fritzen on piano, Ross Bolton, Louis Fasman, and saxophonist/producer Darren Rahn. When a musician invested so much in his project, he wants to know which side one’s bread is buttered on. The starting song In The Pocket presents Paul Brown at his best on his electric guitar. Greg accompanies the guitar with great enthusiasm on the saxophone. Swedish pianist Jonathan Fritzen has in the last two years made great strides in his awareness. A clever move to elect him as a sideman for the title song.